Allegretto moderatoMartinů composed more music for cello and piano than any major composer since Beethoven. Sadly, many of these works remain virtually unknown. As a teenager, Martinů was incredibly interested in French impressionist music and he would spend hours analysing new works. With a small scholarship from the Ministry of Education, Martinů spent the period from 1923 to 1940 in Paris. There he sought out Albert Roussel, who would become his teacher and mentor. Written in 1930, and dedicated to Karel Koštál, the ‘Quatre Nocturnes’, came at a time in his life when the cello caught Martinů’s interest. The Nocturnes are described as four pieces for cello with piano accompaniment. They display a real folk-music blend with Martinů’s distinctive jazz-influenced rhythms, effects and colours much in evidence, asymmetric in the rhythm of the first piece. The second marked Lento, proceeds to a passage of cello chords, after the opening chords of the piano. A tender melody lies at the heart of this nocturne, before the return of the figuration of the opening. The third piece is equally evocative in its sustained melodic writing for the cello and the fourth opens with pizzicato in the cello, before the forward impetus of the bowed passage that follows. The plucked notes of the opening return in conclusion. During this time, Martinů’s music evolved enormously due to the many different stylistic influences he encountered, including jazz, neoclassicism, and surrealism. Martinů was becoming increasingly interested in Baroque music but there was also a pull towards the folk music of his Czech homeland. The Third Cello Sonata in A major is the most performed of Beethoven’s five sonatas for the instrument. It was composed during the highly productive year of 1808 which also saw the composition of the Violin Concerto, the two piano trios of op. 70 and the completion of both the Fifth and Sixth Symphonies. Manuel de Falla, born in Cadiz in 1871, is today perhaps the most famous exception to the general rule that the best known “Spanish” music was written by Frenchmen such as Bizet, Debussy, Chabrier and Ravel. Falla studied initially in Madrid, but on the advice of his teachers moved to Paris in 1907 where he met many of the composers who had an influence on his style. King Alfonso XIII of Spain granted him a stipend to stay in Paris, where he gradually developed his mature style. In 1914 at the request of a Spanish singer, he completed a set of songs for soprano and piano, which he called Siete canciones populares Españolas, but declined to allow them a first performance in Paris because he found French audiences preferred Spanish music written by their own composers. The songs returned to Madrid with Falla when he was forced to leave France after the outbreak of the First World War, and they received their first performance in 1915 in Madrid, as something of a homecoming celebration for the composer. Following his return, Falla wrote most of the orchestral music for which he is now remembered, and instrumentalists identified the songs as good material for arrangements for them to play. Ten years later, Polish violinist Paul Kochanski reworked six of the songs for violin and piano, and a year or two later, French cellist Maurice Maréchal produced the version of the Suite for cello and piano, which we are going to hear this afternoon. The six pieces reflect images of Seville, Andalusia, Asturias, and Aragon. Chopin’s Cello Sonata represents an extraordinary effort on the part of a composer who, only a few years from the end of his life, determined to master a genre he had never before attempted. Only five chamber works by Chopin exist; three of them are for cello and piano. In poor health and the middle of an anguished breakup with George Sand, Chopin found it within himself to labour extensively on this work, making numerous sketches and revisions. “…with my cello sonata I am now contented, now discontented.” The result is a grand sonata on a scale with Chopin’s most serious and significant works. A big, virtuosic cello part is counterbalanced by masterful piano writing in which Chopin never compromises his unique style. The first movement often gives the sense of having been improvised at the piano. In the second movement Scherzo Chopin initially uses a rhythmically assertive approach. However, he then considerably varies the mood, including material inspired by waltz-like dances. The third movement is brief and quite gentle. The Finale combines something like the bravura virtuosity of Chopin’s earliest works with the idiosyncratic update of that style he had recently accomplished in his “heroic” piano works. Dublin born Miriam Roycroft studied at the Royal Northern College of Music in Manchester with Ralph Kirshbaum and Don McCall where she was awarded numerous prizes for cello and chamber music. Upon graduation she won the Muriel Taylor Cello Competition in London and was a prizewinner in the Royal Overseas League which led to many appearances as a soloist and chamber musician throughout Britain. She was a founder member of the Music Group of Manchester. Further studies included a period in Banff, Canada, at the renowned Banff Centre for the Arts with Aldo Parisot. 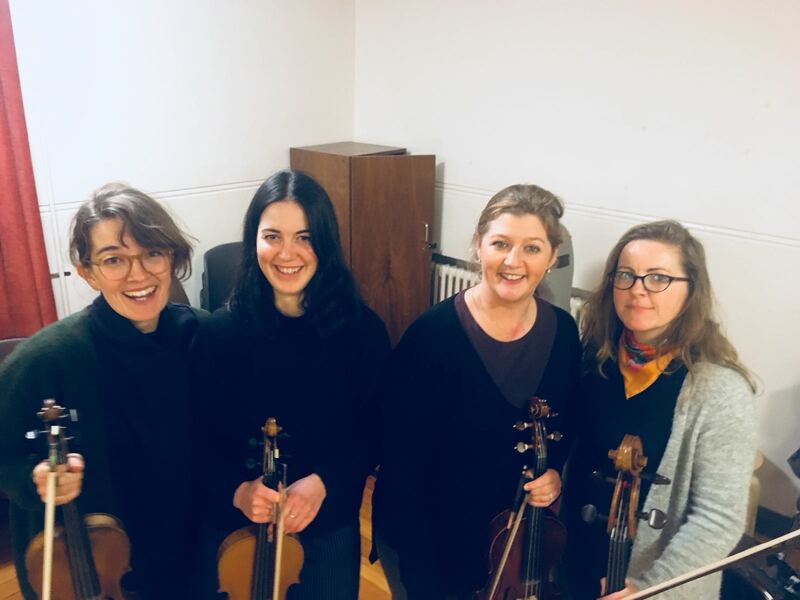 Miriam has appeared as a soloist with the RTÉ National Symphony Orchestra and has played most of the major concerti for cello with orchestras throughout the UK and Ireland. She has been a guest leader of the cello sections of the BBC Scottish Symphony Orchestra and the Northern Sinfonia and has also guest co-led the cello sections of the London Symphony Orchestra and the BBC Concert Orchestra. Miriam is currently principal cello of Camerata Ireland with whom she has toured America, China and Europe. She played at the Music in Great Irish Houses Festival in June 2008 as part of the Festival Cello Octet with the American cellist, Steven Doane. 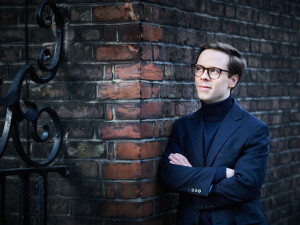 During 2017-19, Miriam and pianist Lance Coburn are performing the entire compositions for cello and piano by Martinů at Dublin’s Hugh Lane Gallery. Miriam has taught at the Junior School of the Royal Northern College of Music and the Leeds College of Music for many years. 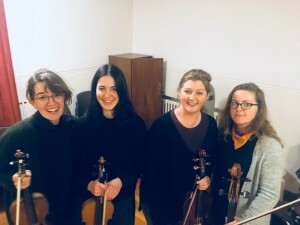 She was also a member of the Orchestra of Opera North in Leeds and has coached the lower string section of the National Youth Symphony Orchestra of Ireland. She joined the String Faculty of the RIAM in Dublin in September 2006. Miriam plays on a modern cello by Grubaugh and Seifert which she commissioned in 2004. Since winning 1st prize at the Tomassoni International Piano Competition, Cologne in 2001, Lance Coburn has performed in Austria, Germany, Italy, Greece, Israel, Russia, United States, Ireland, South Africa, Australia and Korea as both concerto soloist and recitalist. He has performed with the Central Florida, the Israel and Sydney Symphony Orchestras, the RTE National Symphony and Hibernian Orchestras in Dublin, and most other Australian Orchestras. Blessed with a dazzling technique and innate musicianship, and charismatic performance flair, Lance also broadcasts frequently for radio Deutsche Welle, BBC Radio 3, Lyric FM (Ireland) and ABC FM (Australia). Lance has also been the recipient of many other first prizes, including the Hephizibah Menuhin Scholarship, the inaugural Lev Vlassenko Piano Competition, and the Australian Young Performers’ Award (Keyboard Section), culminating in a performance of Liszt’s 1st Piano Concerto with the Sydney Symphony Orchestra, in the Sydney Opera House, which was also broadcast live across Australia on ABC Television. Beginning his studies in his homeland of New Zealand, Lance furthered them in Australia, the Tchaikovsky Conservatoire, Moscow and finally with John O’Conor at the Royal Irish Academy of Music. He enjoys an active freelance career as a solo performer, chamber musician and accompanist. He is also a full time staff member of the keyboard faculty in the Royal Irish Academy of Music. Lance lives in Dublin with his wife and two children. 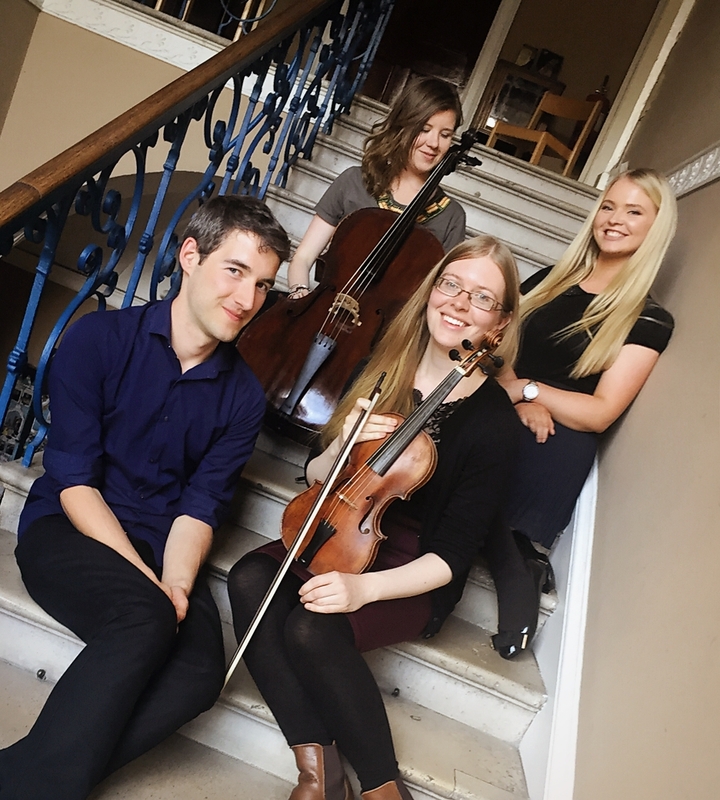 The programme will include the Trio’s own arrangements of well-known classics by Rossini, Sarasate, Debussy, Dvorak and Gershwin and a fiery selection of Klezmer dance tunes. Katherine Hunka is the leader of the Irish Chamber Orchestra. Her duo with accordionist Dermot Dunne has been active in Ireland since 2007 when they toured in China with the ICO. Dermot has performed in all major Irish venues and festivals including the National Concert Hall, Vicar Street, Belfast Opera House as well as The BBC Last Night at the Proms. He has appeared as special guest in concerts given by such diverse acts as The Blind Boys of Alabama, Irish traditional group Altan and Welsh operatic star Katherine Jenkins. Malachy Robinson is a colleague of Katherine in the ICO as well as having his own groups the Gregory Walkers and the Robinson Panoramic Quartet; he performs with period instrument orchestras, chamber music ensembles and is a member of the Crash Ensemble. 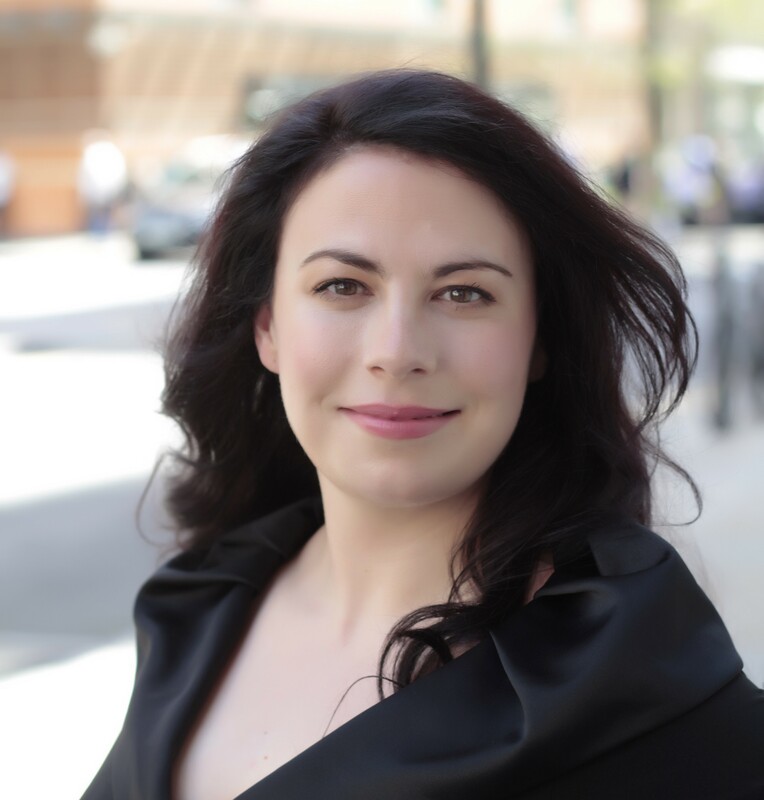 Katherine Hunka has performed as soloist with major Irish and British orchestras over a wide range of repertoire. 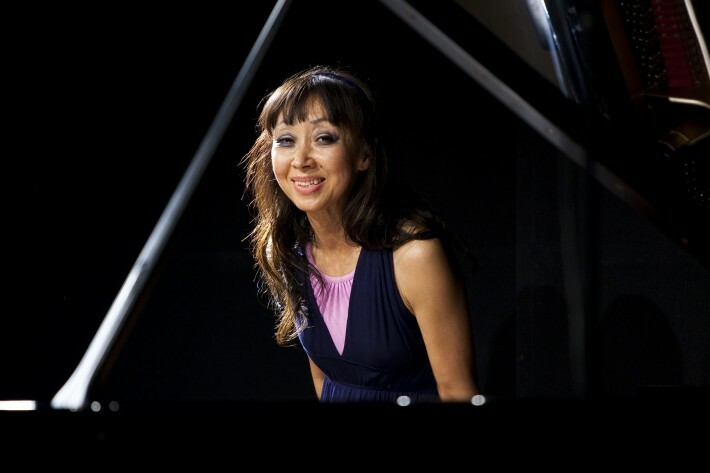 She toured in Ireland last year with pianist Hugh Tinney and British cellist Guy Johnston. The musicians bring their experience over an extensive range of repertoire to their trio programmes, drawing their audiences into their performances in a fun way, guaranteed to entertain. James Taylor began his musical education as a cathedral chorister at Southwell Minster, UK. He graduated with an honours BMus from Huddersfield University in 1998 and an MA in 1999, completing his postgraduate studies in 2006 at McGill University Montreal, specialising in organ and harpsichord. He has held church music posts at Ripon Cathedral (UK), Wellington Cathedral of St. Paul, New Zealand and Christchurch Cathedral Montreal. He has performed concerts across Canada, the United States, Germany, Italy, the Netherlands, Switzerland and New Zealand, and he has participated in numerous television and radio broadcasts as a soloist and accompanist. James has recently completed a recording on the newly restored organ at St. Fin Barre’s Cathedral Cork, where he worked from 2006 – 2017. 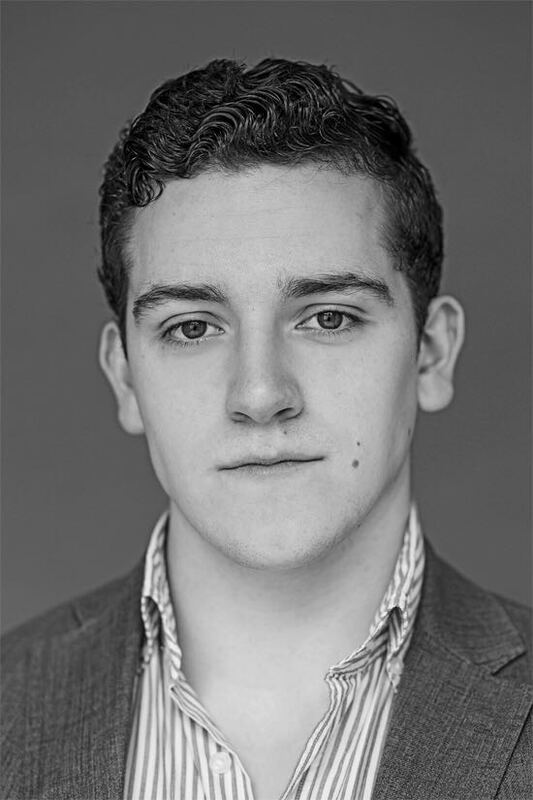 James is a Lecturer in Music at the CIT Cork School of Music, and conducts the award winning vocal ensemble Madrigal ‘ 75 with whom he has toured Italy, Spain and Switzerland. The choir performs regularly in Cork and further afield, their next concert being the ever popular Christmas Concert as part of the Cork Orchestral Society series. Irish soprano Anne Marie Sheridan studied with Mary Brennan at the Conservatory of Music, Dublin, from where she graduated with a Bachelor of Music Performance with First Class Honours, and received the Paul McNamara gold medal for excellence in performance. While living in London she studied with Yvonne Kenny and Paul Farrington. She completed her Masters in Voice at the Wales International Academy of Voice where her tutor was Dennis O’Neill. Anne Marie has performed a variety of operatic roles in Ireland, the UK, Italy and Germany. She is also an experienced concert soloist with repertoire including Dvorak’s Requiem, Rossini’s Stabat Mater and Tippett’s Five Spirituals from A Child of Our Time. As an avid recitalist her repertoire includes Strauss’s Four Last Songs, Wagner’s Wesendonk Lieder and Mahler’s Rückert Lieder. She was a prizewinner at the Ballymena Feisceoil and the Feis Ceoil and was a semi-finalist in the Elizabeth Connell Prize for Dramatic Sopranos and the Concours International de Belcanto Vincenzo Bellini. CD credits include The Silver Hound: songs by Betty Roe. 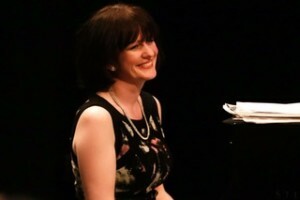 Trudi Carberry has worked with many of Ireland’s leading performers and is in constant demand as an accompanist at music festivals, auditions and recitals. 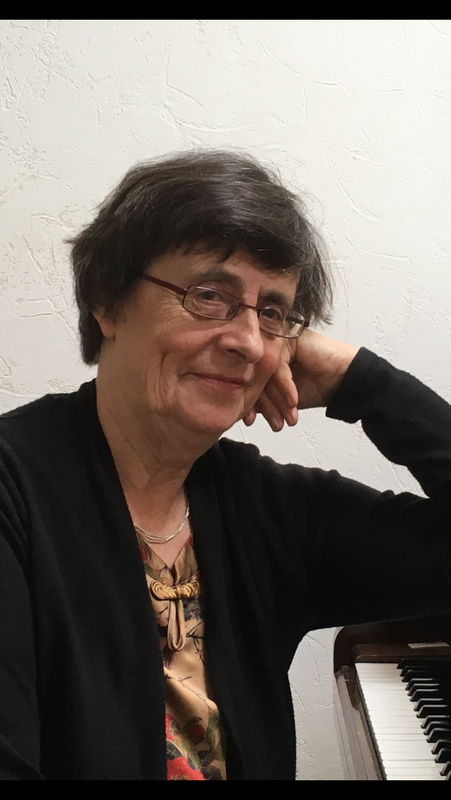 For many years she was a staff member for many years in the vocal department of DIT Conservatory of Music and Drama, where she was engaged as vocal coach and accompanist. She continues to have a particular interest in young people who are pursuing a career in performance and works privately as a vocal coach and repetiteur with many emerging singers. Trudi is also a qualified Music Therapist and worked for many years in the Music Therapy Department of Our Lady’s Children’s Hospital, Crumlin. Her attention is now divided between her musical activities and her family commitments which include four lively grandsons. Born into a family of music lovers, Shahab started his music education aged 7, under the direction of Majid Kiani, Pashang Kamrakr, two of the contemporary masters of the santoor (a trapezoid-shaped stringed instrument that pre-dates the Dulcimer and piano). He continued studying Persian classical music alongside Western classical music at the Tehran School of music until he moved to Ireland at the age of 17. He also plays violin and is currently studying performance at the Royal Irish Academy of Music. Shayan started playing the Tombak under the direction of Master Arjang Kamkar at the age of seven and went on to study Tar (a plucked string instrument which pre-dates the lute and guitar). Shayan continued his studies at the Conservatoire of Music in Tehran aged 11. 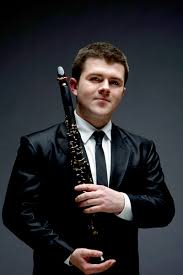 He also plays Daf, Setar and Tanbour and is currently studying Clarinet at the Royal Irish Academy of Music in Dublin. 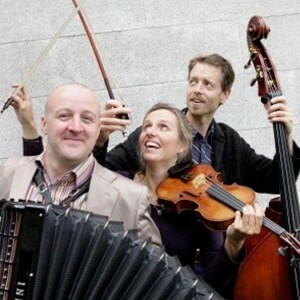 The brothers have performed in different venues and festivals in Ireland such as Bray Jazz festival, the Silk Road festival, the National Opera House along with Zoe Conway, Kaleidoscope night series, Other Voices, Electric Picnic, Doolin Folk Festival, Éigse -Carlow Arts Festival, Hugh lane Gallery concert series and many other solo improvisation recitals around the country. 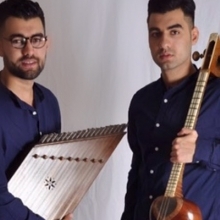 The brothers received a Deis recording Grant with the Irish Persian fusion band (Nava) who recently launched their album Tapestry at the National concert hall. This album with Nava has received a number of great reviews in Ireland and the UK and also from Songline magazine. The name comes from the name Shata- tantric, meaning a Veena of hundred strings. Traditionally, it consists of a hollow box with twenty five bridges, each having four strings resting on it. It is played with the help of two wooden mallets known as mezrabs. 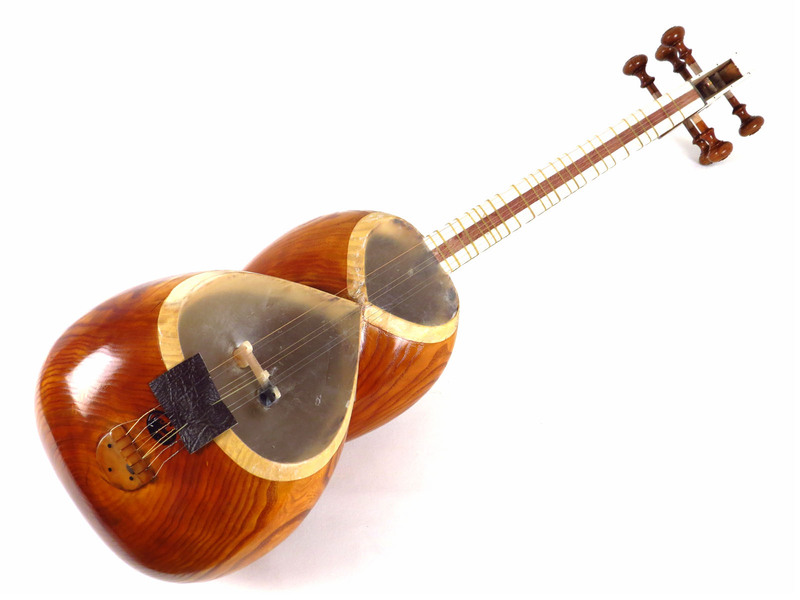 Iranians consider this to be the “sultan of instruments.” Its present form was developed in 18th century and has been the choice of Persian classical masters since. It has a double-bowl body of mulberry or walnut wood with a lambskin face. The fingerboard has 28 frets and the three double strings are played with a plectrum made of brass and honeycomb. The Tombak, also referred to as Zarb, is a wooden goblet drum, which is the most frequently played percussion instrument in Persian folk music and the classical Persian music of Iran. Daf is a kind of drum with Persian frame, which can be played in classical and popular music. Hardwood is used to make the frame, and ringlets of metal are attached to it, with goatskin being used for making the membrane surface. This instrument is found mostly in the regions of Iran, Kurdistan, Middle East, Pakistan, Armenia, Azerbaijan and Tajikistan.